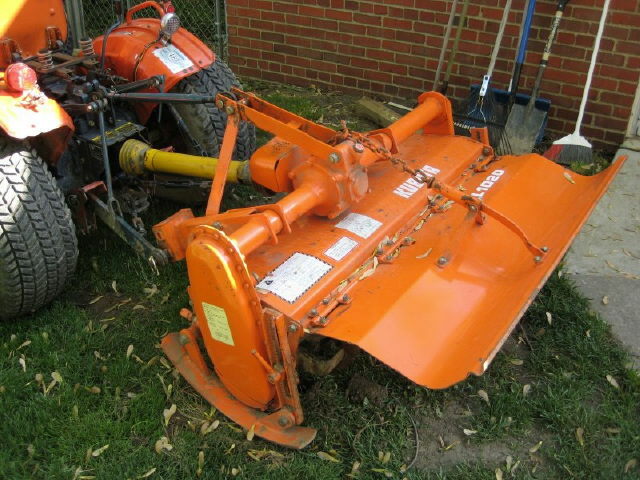 TRACTOR ROTOTILLER 3 POINT Rentals Ft. Collins CO, Where to Rent TRACTOR ROTOTILLER 3 POINT in Ft. Collins, Wellington, Greeley, LaPorte, Loveland, Windsor CO and all of Northern Colorado. For compact tractors only, under 40 hp, with category one 3 point hitch. Weight 433 lbs; Overall width 48"; Tilling width 42"
* Please call us for any questions on our tractor rototiller 3 point rentals in Fort Collins, Wellington, Greeley, LaPorte, Loveland, Windsor CO and all of Northern Colorado.